Cartoon’s art is not conceptual, nor political. It is personal. 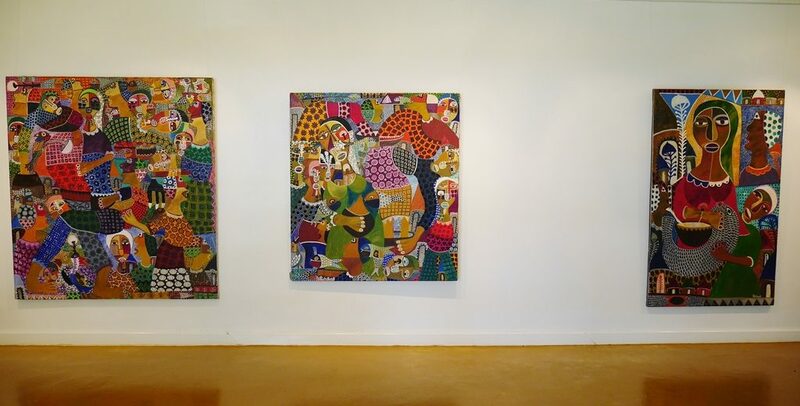 He is a narrative painter, visualising in his own distinctive way local values and culture, a perfect and idyllic world of a disappearing tradition. 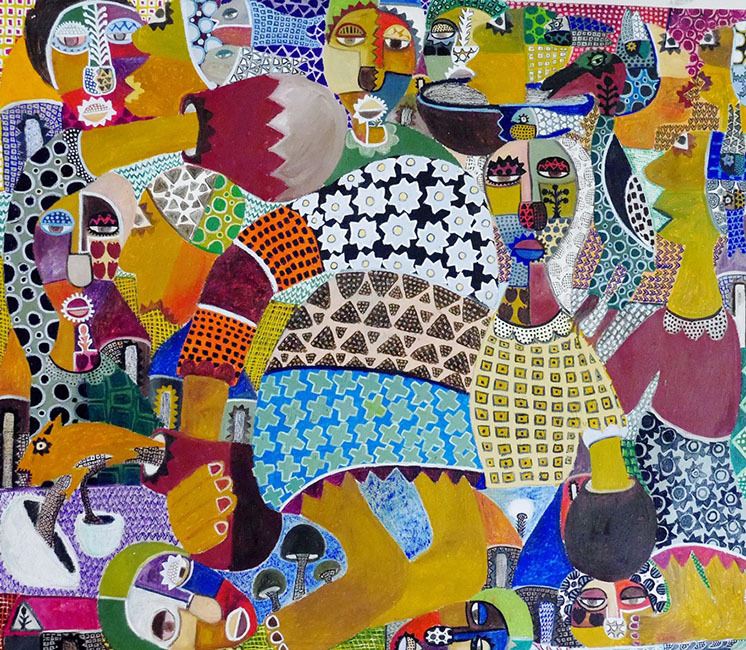 Like a puzzle the viewer finds his/her way through the narrative. Entwined and twisted figures float, swirl and tumble across the picture plane, embedded in a multi-patterned, ornamental, fabric like background. The central figure is the caring female, who, in an ideal world, provides food and shelter for the family. 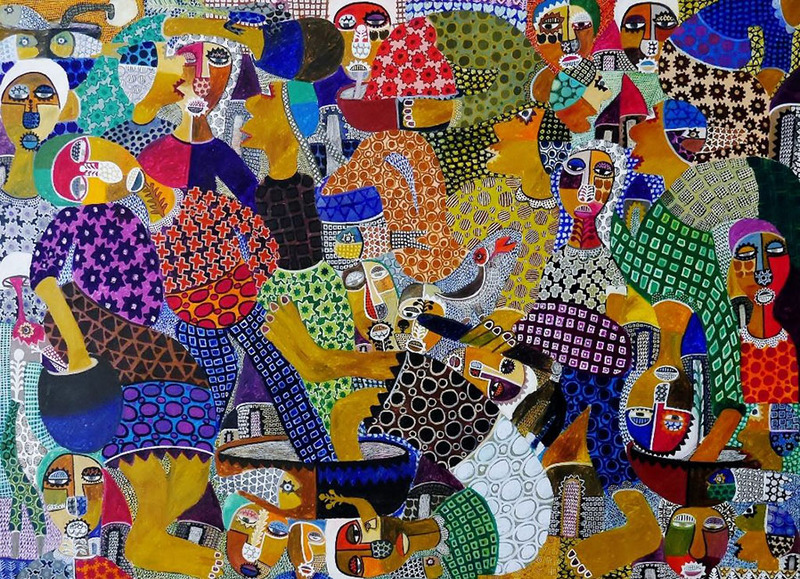 Joseph Cartoon was born in 1976 in Ngecha, Kenya. 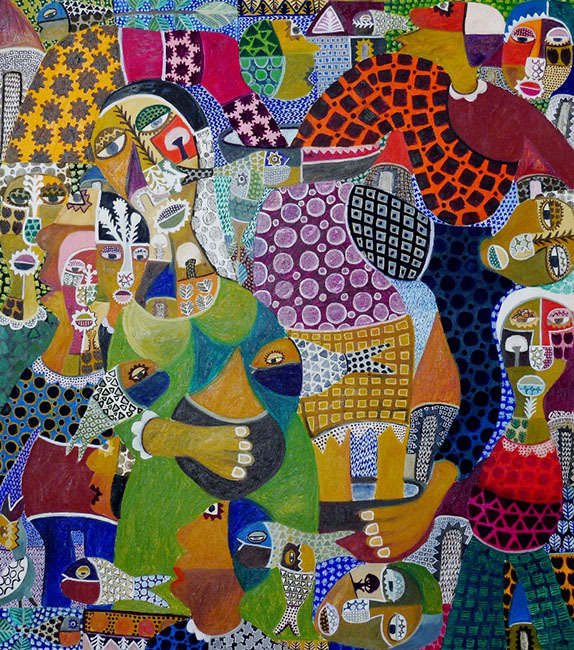 In 1994, he joined the Banana Hill Art Group, an offspring of the Ngecha Artists’ Association. 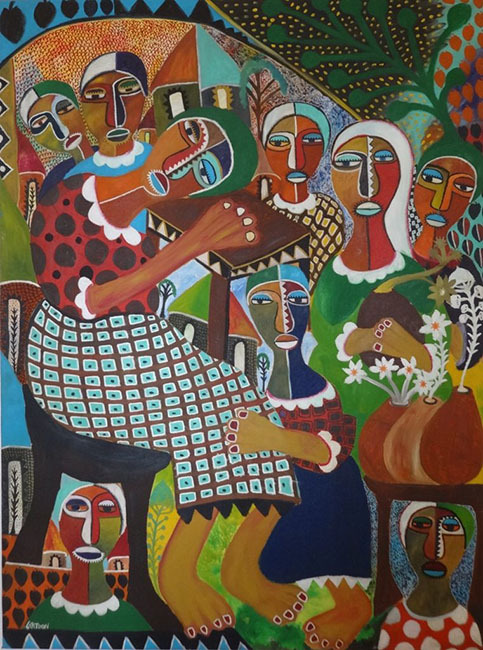 In the 1990s, the Ngecha Artists’ Association was a group of young, self-taught artists, without academic or artistic education, founded by Sane Wadu, Wanju Brush and Chain Muhandi. The Banana Hill Art Group was led by the artist Shine Tani, who became Joseph Cartoon’s mentor. Joseph Cartoon was a member of Banana Hill Art Group until 2001. 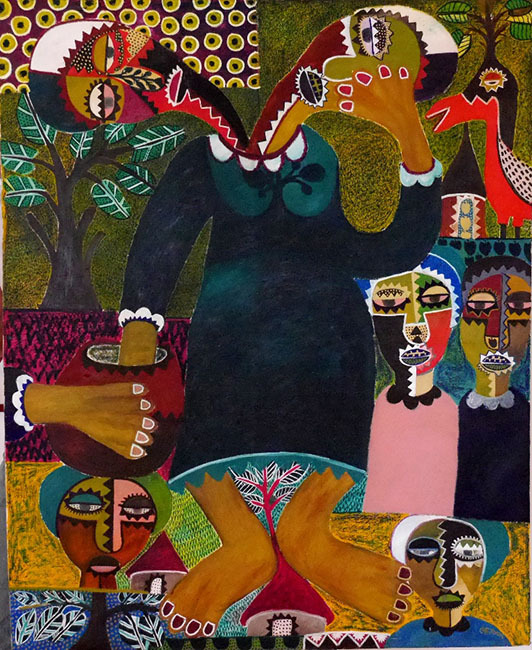 He developed his own authentic, semi-abstract, ornamental, pattern-rich and colourful style of painting, featuring strong and powerful African women as his predominant subject. His artworks have remained virtually unchanged over the years. 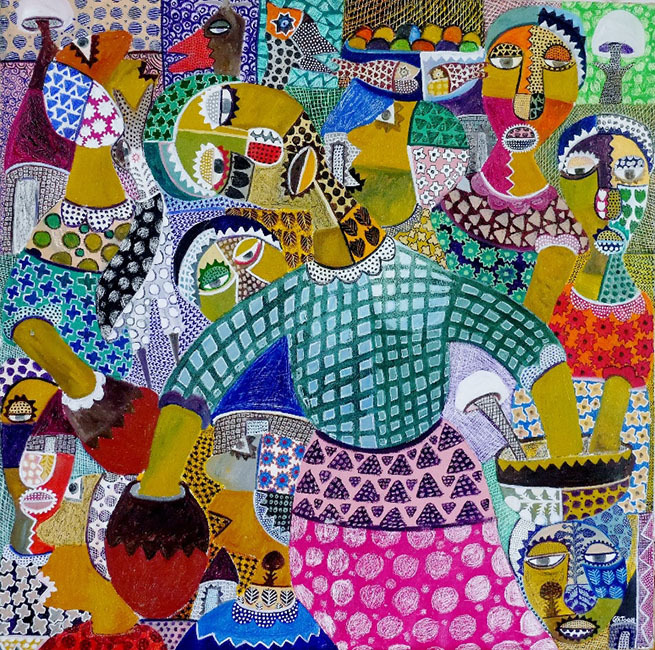 Cartoon has participated in numerous solo and group exhibitions in East Africa, Europe and South Korea. 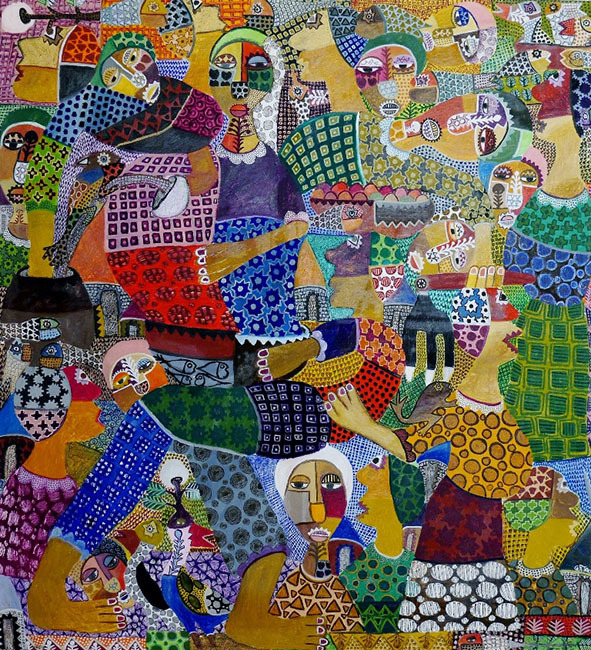 In 2002, he participated in the Scholars Exhibition of the Royal Overseas League in London and was awarded a one-year Artist-in-Residency in the UK. 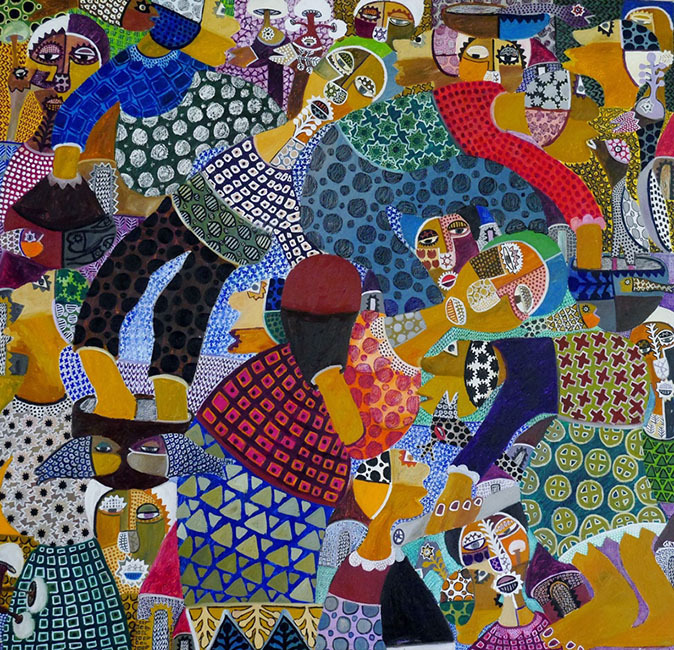 He returned to Kenya in 2003 and is living and working as a freelance artist in Banana Hill, just outside Nairobi.